When my new adventure possibilities i.e. THE AUCTION HOUSE, failed from lack of enough people to make it viable, I RETIRED – all of my obligations fulfilled – sons in college, no more wife to support, what remained was just me. What did I do? 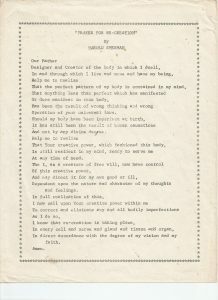 after being told by my “channel (intuition) that my body was ready to “die”overnight I became a “vegetarian” – overnight my energy was drawn into the world of “metaphysics” – the story written concerning Guru Maharaji today is one example. 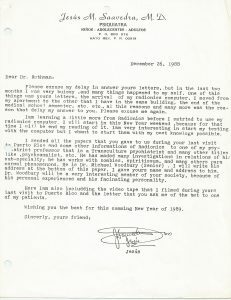 I joined many groups investigating the “inner worlds” – the teachings of the Cabala – the esoteric sciences dealing with numerology, palmistry, graphology- healing “by the hands” -also worked with the Wheatgrass women, Mrs Wigmore, I was her publicity agent – my room in her building was next to Dr. Wigmore’s room. the fundamentals of “health.” While there I found my innate ability to lecture on subjects I had no background with; also discovered that I was able to do “stand-up comedy” in the process. I also went to Costa Rica, and the Bahama Islands for the purpose of studying with holistic methods of healing. When that was finished, I purchased a motor home, and went to California – with the intention of going to one place only. It was called Living Love by Ken Keyes a Buddhist follower, I stayed there for one month – and – waited to hear the next place that I will go to. I was there for one month until a fella told me and others of a place way up in the mountain area of California – where a new movement is happening – this movement was called REBIRTHING – using breath as its main feature – while there I was asked if I wanted to be rebirthed? I said I do not have any money to pay for it – the rebirther said “that is OK” I will rebirth you. What is the process of rebirthing? proper breathing methods. He put me into this “state of consciousness and what I experienced defies any understanding of reason, logic, or intellect. Why? the most fantastic experience emerged out of the deepest reservoir of my being-ness. I experienced being in my mother birth canal – as I was birthing, coming into this physical dimension! After that experience, I decided to stay and not leave with the other two guys that came with me. I had no money, so I washed dishes – my friends returned to the Yoga Farm – when they refused paying me for washing dishes, I gave palm reading to the people there, for $3 bucks. One of the guys there did “rolfing” a system meant to correct body structures (type of a massage) that is “deep massage.” He asked if I wanted a “treatment”, I said the same thing that I said to the “rebirther” I don’t have any money – he said, that’s OK and gave me a treatment. While in Palo Alto, I found a good friend, Mary Ross, she was intrigued by my psychic abilities – my palmistry and handwriting skills. As said, I got my mail thru my friend, the therapist. While there amazing things were viewed, and accomplished. I found the woman who brought Reiki to “our shores,” Beth Gray. I found that I had the ability to look at objects, and extract information from the objects i.e. rings, keys etc. When I started my psychic society I had a woman, who mastered this art – I didn’t know I had that talent until it happened! When I heard that I laughed, when suddenly, my channel said, SHE IS A PSYCHIC OF RENOWNED, HOW CAN YOU QUESTION HER? So I said, OK, I will give it a try. I selected an item from the basket of items, and then asked my channel “what should I do?” it said look for pictures, and when I did that I picture was formed – and when that happened, I said who is the owner of this item, a hand was raised, and I said, is that an accurate reading, he said yes, 100%. Every week Mrs Gray had me give readings – that were accurate. I went with her to the Philippine Islands where the “psychic surgeons” are renowned worldwide. Of course our experts here in the USA claimed that this was hokus pokus, no truth to it at all. 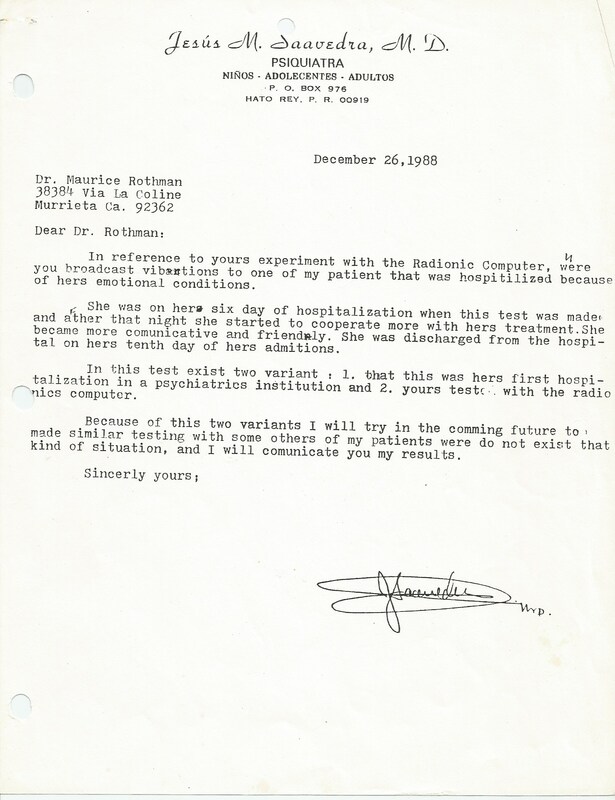 Well, the psychic surgeons that I experienced were all legitimate and what I am about to “tell the world” beyond belief, was real, so real that the medical doctors who went there to prove the opposite, could not handle what they witnessed, and left in a hurry! We went into the bush with the bush people and what I am about to convey is so “unbelievable” that even certified mystics would think twice before believing it. Before this surgeons worked on a body, they meditated for a very long time – and – what I and others there witnessed, is way beyond belief. They pulled a major vein out of a person’s body – the person feels no pain whatsoever, and then proceeded to clean out the vein from all of its blockages – now who “in their right mind” would believe this, no one. They did not allow picture taking. However in the hotel where we were staying the surgeons did allow picture taking, and I took pages of me, yours truly, being worked on the surgeons. People will be able to view these pictures once I am able to send them thru our advanced technical systems. Right now they are tapes – keep in mind this was happening during the late forties, early fifties. MY BOOK IS AN ASTONISHMENT, MORE THAN AN ACHIEVEMENT – just as serendipity, synchronicity and spontaneity are ASTONISHMENTS. My blog is meant to “allow great energies” i.e. Jane Roberts, Seth, LAOTZU, HERMES, EDGAR CAYCE, RUDOLPH STEING, ANNIE BESANT, MADM BALAVANSKY DR EMMANUEL SWEDENBORG. THEIR “WORK” MUST BE RESPECTED BY THOSE WHO “KNOW”. Of course, a “bit” of “wisdom” is imparted, here and there, as “time marches on” it is not meant to “take people” out of their “comfort” zones. Only the person when they are ready can do that. YOU CAN TAKE A HORSE TO WATER, BUT HE/SHE DOESNT HAVE TO DRINK IT. THIS BOOK IS MULTI-FACETED AS I AM MULTI-FACETED PERSON. WHEN THAT ODDYSEY WAS OVER I RETURNED TO MY BIRTH PLACE IN BOSTON, MA. WHERE I SET UP MY SOCIETY. I HAVE WRITTEN ABOUT MY EXPERIENCES WITH SILVA MIND – AND NOW MY HOME BECAME A SILVA MIND COTTAGE CENTER WHERE SILVA MIND GRADUATES CAME TO CONTINUE WORK ON THEMSELVES AND OTHERS. ONE OF MY GOOD FRIENDS WORKED AT M I T AND ARRANGED A ROOM WE COULD HAVE FOR THE EXPRESS PURPOSE OF STARTING A WHOLE NEW ORGANIZATION CALLED: THE NEW ENGLAND SOCIETY OF PSYCHIC SCIENCE RESEARCHERS. 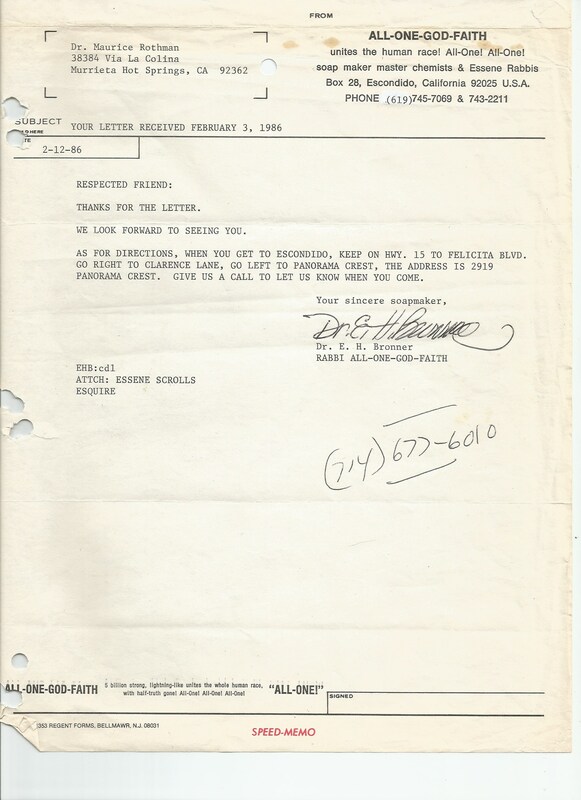 IN 1981 OUR SOCIETY WAS APPROVED AS A NON PROFIT BOTH BY OUR STATE OF MA. AND OUR GOVERNMENT. TODAY AND FOR A NUMBER OF YEARS NOW THE SOCIETY WITH ITS BLOG – WITH ITS MILLIONS OF MEMBERS (THERE IS NO CHARGE FOR MEMBERSHIP, ITS FREE) CONTINUE THE TRADITION STARTED ALMOST FORTY YEARS AGO. DURING THAT PERIOD I WAS IN OVER 20 RADIO SHOWS, ONE TV APPEARANCE – LECTURES IN COLLEGES – AND INVITED TO TV SHOWS DEALING WITH OUR SUBJECT MATERIAL. Maurice is kind, intelligent, responsible and in general a human being of the highest order. A passionate esoteric whose life goal has been to rise people’s consciousness from the subverting power of materialistic pursuit and elevate all of humanity into the auspices of transcendental spirituality. his goal of disseminating his spiritual message through an ambitious literary format. his thoughts coherently to fluidly write about any theme or topic at the present time. Yes all is well and I hope you are well too. Here is the comment that required a little more thought and feeling on my part to do justice than merely throw out a quick note about you. There was a lot to reflect and I wanted to be SPIRIT INSPIRED. So here it is. I hope it is all you hoped for and more. 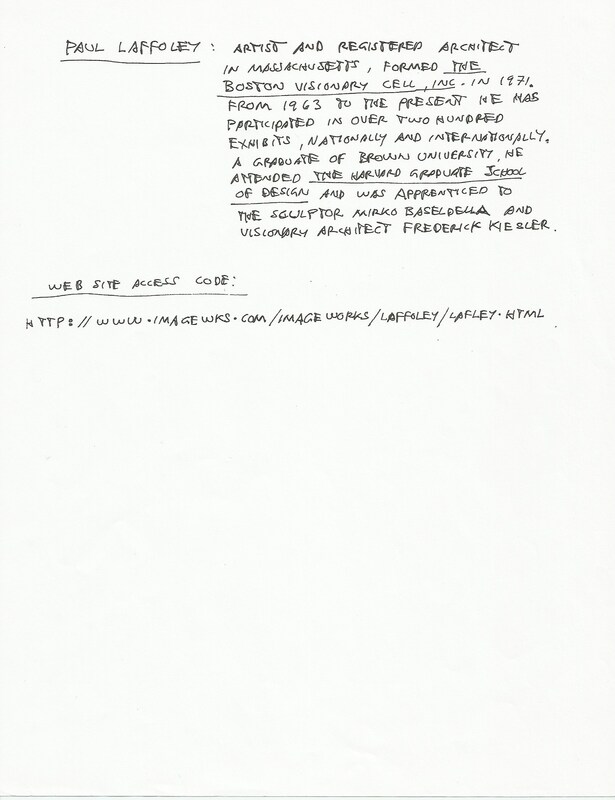 My name is Sergio Gonzalez and I have known Maurice Rothman since January 1978. We met in the very first week of our training at the Polarity Institute on Orcus Island Washington. Oddly enough, my very first encounter with Maurice was in the sauna bath room. After a conversation of filling in the blanks of our lives prior to coming to the Institute, Maurice offered a palm reading which included a reading from his channel. It was very profound and insightful. In the following weeks of our training especially during the group sessions, Maurice would come up with statements or comments that were contrary to the Institutes beliefs and teachings. After a time of this, the Leaders of the Institute put a BAN on Maurice from speaking. They even went so far as to place a piece of duct tape over his mouth during the day for the remainder of our training, only to be removed for eating purposes. He and I got around this by writing to one another during the day. I personally would sneak into his room, when all was quiet, and we would converse, in a whisper, until we had said all we had to say. After completion of our training, we remained in contact and in close friendship, since the time, 39 years now. A few years later, he organized and headed a group in his area, of psychic healers. I believe it was called the Society of Psychic Healers. During this time, I had organized in my Oregon area a fellowship, The Wholistic LIFE Fellowship. When it became apparent, a few of the members were attempting to wrestle away the original intended purpose of the Society, Maurice placed the Society under the umbrella of my Fellowship to thwart any further attempt on their part. Later, he and his channel would advise me on the purchase of property as well as contributing and donating financial support. In the 1980’s, Maurice, moved to Murrieta Hot Springs, CA to receive more therapy treatment sessions. I would visit him with my two daughters as my mother lived nearby. We would see each other many times over the years either in Massachusetts, Oregon or California to have many talks of our mutual love and respect of ALL THAT IS. Over the following years, Maurice learned and developed his skill using the Radionics machine with a great deal of accuracy and success. I was fortunate to receive many treatments over the years. As recently as, May 2016, Maurice provided a treatment for my then one year old Grandson, who was diagnosed with 2 holes and a fused ventricle in his heart. Although, he went through his scheduled surgery, he was sitting up in 3 days and 2 more days was walking outside the hospital. My love and respect for Maurice has only grown since the very first time we met and wish we could sit face to face to converse of beauty, majesty, glory and wonder of ALL THAT IS. Maurice and I traveled in the same Boston circles for many years as we were exploring new modalities that were surfacing, seemingly all at once for me. From Silva Mind Control to the Psychic Groups, one of which he led, to EST to Dowsers (actually not sure he participated). The Spiritualist Church, Radionics, common friends….. I hosted some evenings and we also met in different places but our paths just kept crossing through the years. And did I forget to mention his piano sessions? Loved to listen to jazz that he interpreted so well. I am so glad we are still in touch and that Maurice is contributing all the time. YOU GO MAURICE!! I have known Maurice all of my life. However, we always called him Moe. He was my father’s lifelong friend, beginning from the time that they were teenagers. They complemented each other well. My father was your typical cut-up, always out to have a good time no matter what the rules were. He also fancied himself to be a singer in the model of Al Jolson. Moe, on the other hand, was more reflective, and a great pianist. The two of them belonged to many Jewish organizations for boys, but were not averse to crashing parties and events they were not a part of. One time, they found their way onto the Symphony Hall stage, where Moe played piano and my father sang, until someone asked them who they were, and if they were with the sponsoring party. My parents remained very friendly with Moe and his wife Sarah, and I recall attending the bar mitzvah of one of his sons. It was years later that my parents told me that Moe had gotten into some really strange stuff, but they were all for it. They told me that he interpreted handwriting, and that he could tell you all about yourself from your fingerprint or a piece of your hair. This was during the height of the New Age era of the 1980s, and I myself was into it. I would go to the Whole Health Expos and on occasion consult with Reiki healers. I also consulted with a few psychics. I was living in Cambridge, and Moe’s older brother George had helped me get an apartment in 1986. I also knew Moe’s brother Milty and his family, because they had the hardware store in Central Square. But for some reason I had not interacted with Moe as much as with his brothers. But one day I called him, and we talked for a long time. From then on, we were always close, and always in touch. I supported all of his efforts and would visit him at his mother’s house and later at his apartment at the JCC in Newton. I brought at least a couple of ex-boyfriends to him to have him perform radionics on them. They liked him very much. Maurice is one of a kind. He is extremely open-minded, very intelligent, and has a great passion to help others. He has also become quite a writer. I have recently read things about his life that I never knew, such as his early career at the Charlestown Navy Yard, and his varied, but always successful, retail ventures. He is still sharp as a tack, and has a good read on modern politicians and celebrities. He is very perceptive and usually right on target. And as far as health and nutrition, he is as correct as can be. He is also very devoted to Judaism and biblical concepts, and weaves this fundamental belief system into his paranormal work. All of his efforts — with his blog, his writing, and his commentaries on those he has greatly admired, such as Nikola Tesla and Emanuel Swedenborg, will keep their work and their memories alive. As he prepares to depart for his annual trip to India, I wish him only the best, and health and well-being. He has enriched my life and those of so many others. May G-d always bless Maurice. I met Maurice in 1978 in Pondicherry, India. I was 18 at that time and moved to United States at the age of 19 and since then Maurice has acted as my adopted Dad counseling me and giving me good advise me on a variety of things. The few times I did visit with him I was able to hear and witness his channel on various subjects. One Moment that really stands out through the almost 40 years that I have known Maurice was when I visited him in Murietta Hot Springs when Maurice was living in California. it was on a sunday and we had just done watching 60 minutes when the phone rang and as soon as Maurice started talking I knew this was a Serious emergency call. The call was from the girlfriend of Joseph Aiello and she was saying that Joe was in a terrible accident and it looked like Joe was dying. I heard Maurice say in a calm but confident voice to –Flood him with White light or imaging him in a glow of white light. he then went on to say–rub the white light all around his lungs and stomach where his Aorta or main artery was ripped and also where his lungs were filling up with blood. Then have Joe go back to when he was the happiest or both you and him should focus and think about the moment when Joe was the happiest and keep thinking about that moment for at least 5 minutes. a few weeks later Maurice told me what happened after he spoke with Joe’s girlfriend— what happened next– all the blood was drained from both his lungs and everything was normal with no scar tissue. A video was made where Maurice, Joe Aiello and his girlfriend related what happened. his mother’s miracle was also mentioned in the tape where she was dying in the death ward of Mt Auburn hospital in Cambridge, Mass. Maurice was asked to help her using his Radionic device. Maurice never saw the woman, he just worked with an Untouched picture of her. with 3 days of the Radionic device broadcasting– all of the poisons and cancer in her lung was gone. This can be proved by Mt Auburn Hospital. There is also a picture that shows Joe’s vehicle turned upside down in a ditch. I LIVED IN MURRIETA HOT SPRING, CALIFORNIA FOR A NUMBER OF YEARS. MY NEIGHBOR HANNAH SCHAFLER WAS A GOOD FRIEND. HANNAH WAS NOT WELL, SUFFERED WITH A HEART CONDITION THAT ALMOST COST HER HER LIFE FOR MANY YEARS. 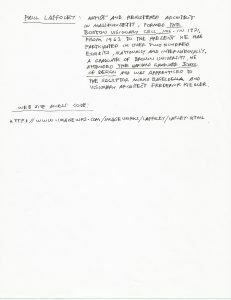 PROOF OF THAT IS CONTAINED IN MYBOOK. ONE DAY I VISITED HANNAH AS SHE WAS PUTTING CAN GOODS AWAY IN HER KITCHEN PANTRY. HANNAH DID NOT REPOND TO WHAT “MY CHANNEL” SAID. I WENT BACK TO BOSTON MA. AND IN THE FOLLOWING MONTHS, HANNAH HAD A MASSIVE HEART ATTACK. 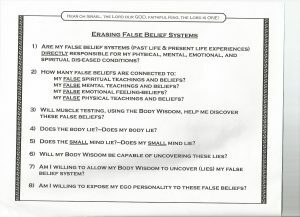 EGOS ARE “FALSE ENTITIES” GO TO THE BLOG AND READ ALL ABOUT EGOS ETC. THERE ARE OVER 1500 ESSAYS THERE; WRITINGS OF THE MASTERS, LAOTZU , HERMES ARE ALSO THERE. TO RETURN TO HANNAH, SHE PRACTICED THE VISUALIZATION FOR A WHOLE DAY RELIGIOUSLY. THE NEXT DAY THEY TESTED HANNAH’S HEART AND WHAT THEY FOUND THEY COULD NOT BELIEVE. VISUALIZATION TECHNIQUE A “NEW HEART, NEW ARTERIES. HER DOCTOR SAID THAT HANNAH NEVER HAD HEART TROUBLE; OF COURSE THE RECORDS AND HER DOCTORS REPORT SAID OTHERWISE. 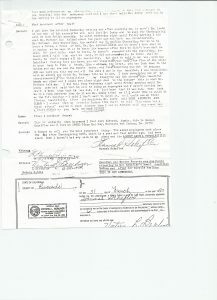 AND THE REPORT IS NOTARIZED – THE DISBELIEVER MUST NOW “TAKE A BACK SEAT” AND BEGIN ASKING QUESTIONS, HOW, WHY? ETC. 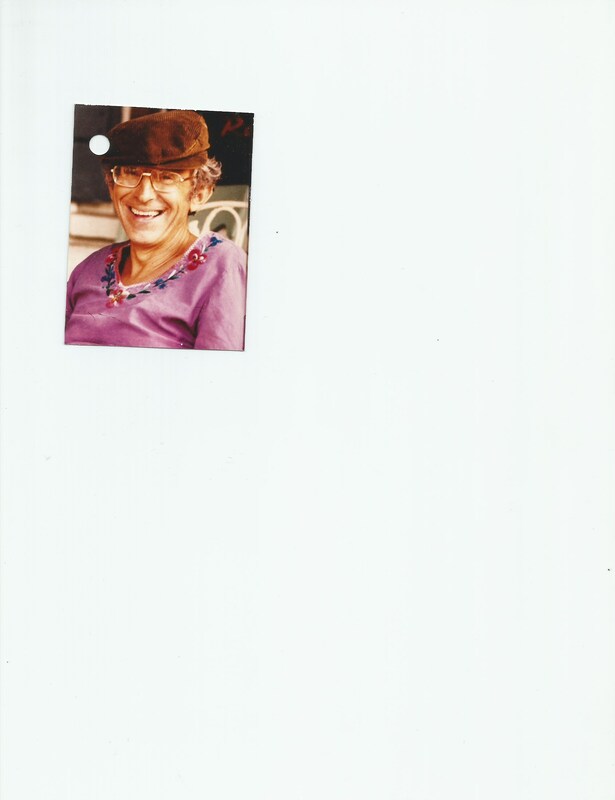 DR MAURICE ROTHMAN, PHD, IT IS ALSO TO BE NOTED THAT MY “BOOK WILL BE GIVEN FREE ON MY BLOG AND WHAT’S CONTAINED IN MY BLOG WILL ALSO BE IN MY BOOK. SINCE THEY BOTH SERVE THE SAME PURPOSE. MY BLOG IS MEANT TO “PUT SOME “LIGHT” IN A WORLD OF “DARKNESS” IT IS NOT MEANT TOGIVE A SHOT OF ADRENALINE TO THE EGO WORLD WHEN IT DOES STUPID THINGS LIKE ELECTING A KNOWN PEDAPHILE, SWINDLER, THIEF TO THE HIGHEST OFFICE IN MY COUNTRY, THE USA. TRUMP WILL GET WHAT HE DESERVES IF NOT ON THIS PLANET, BUT IN THE WORLD BEYOND. AND THE PEOPLE WHO VOTED FOR HIM, WILL RUE THE DAY THEY VOTED FOR HIM. HE IS A FIRST CLASS MISCREANT, AND THAT OF COURSE INCLUDES HIS FAMILY – THEIR LORD IS THE MIGHTY DOLLAR WHICH BOTH IN TIME, WILL COLLAPSE AROUND THEIR NECKS. THAT OF COURSE IS OUR COUNTRY’S FIRST CLASS AMENDMENT; MY FREEDOM OF SPEECH. MR HAROLD SHERMAN IN MY OPINION WAS AN “ADVANCED SOUL.” HE ISDECEASED. HIS ESSAY “PRAYER FOR RECREATION” IS A SHEER MASTERPIECE IN MY OPINION. READING HIS MASTERPIECE ONE IS REMINDED OF THE OTHER GREAT MINDS THAT”SAID THE SAME THING “IN THEIR OWN WAY OF COURSE” PEOPLE LIKE SOCRATES, LAOTZU, HERMES, AND MANY OF THE GREAT GURUS OF INDIA. 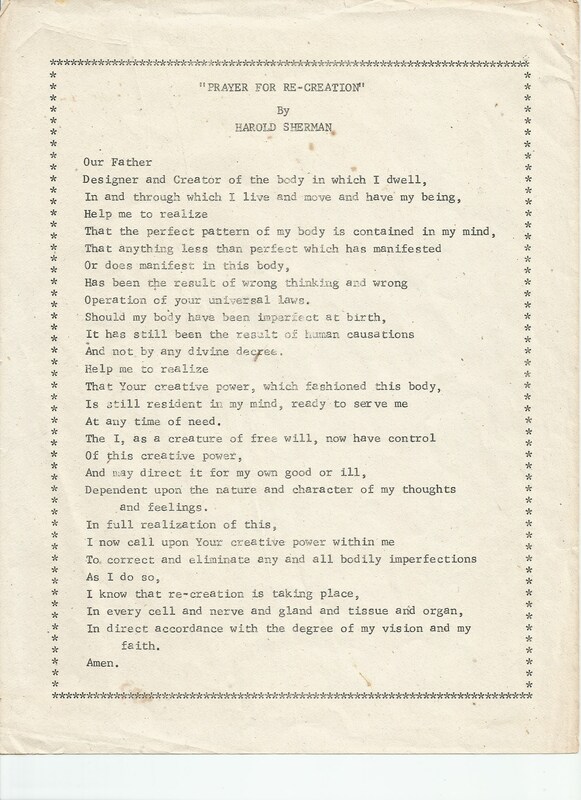 HAROLD REMINDS UP WITH THIS ESSAY THAT WE ARE OUR “OWN MASTER” DESPITE THE SATANISM THAT EXISTED IN HIS DAY AND IN OUR DAY TODAY. PROOF OF COURSE IS THE “DECAY OF OUR SO CALLED “HUMANITIES” IN MY NATIVE COUNTRY THE USA, AMONGST ALL OF THE CLASSES BY VOTING A “DEGENERATIVE, UNBELIEVABLE “MISFIT” AS PRESIDENT OF THE GREATEST COUNTRY ON THIS PLANET! HOW COULD THAT HAPPEN? PRESIDENT GEORGE BUSH ALSO A “MISFIT” WAS ALSO ELECTED TWICE BY MY COUNTRY? AGAIN WHY? BOTH DID NOT RECEIVE ENOUGH VOTES TO BE ELECTED AS PRESIDENT, BUT THEN THEY WON, WHY? THE SYSTEM TO BEGIN WITH IS FLAWED ENABLING “MISFITS TO RULE THE MASSES” AND THAT “SYSTEM” WORKED FOR THE “OLIGARCHS” THE BILLIONAIRES ETC. THAT AS MENTIONED ABOVE IS “SATANISM” – SOLUTION? SOLUTION RESTS WITH” PRAYER OF RE-CREATION” WHICH BI PASSES ALL OF TRUMPISM, AND BUSHISM – SINCE THAT EGOCENTRIC WORLD “IS ON ITS LAST LEGS IN MY OPINION”. IT WILL BE A “CLEAN SWEEP” MEANING ALL OF THE PAST, THE PISCEAN AGE WILL BE GONE WITH THE WIND. A N D G O O D R I D D A N C E! JOB IS TO DO THE “CLEAN UP”. THE EGOTISM OF THE PAST, THE TRUMPISM OF THE PAST WILL BE DESTROYED COMPLETE. JUSTICE WILL TRIUMP – THE MESSAGE OF THE DAY WILL NOT BE “WHAT’S IN IT FOR ME”IT WILL BE “WHAT CAN I DO FOR MY COUNTRY, I.E. JOHN KENNEDY’S MESSAGE TO THE WORLD. THE ASSASSINS OF JOHN KENNEDY AND BROTHER – WILL RECEIVE “THEIR DUE” IN THE WORLD OF HELL. READ MY BOOK ON HEAVEN/HELL BY DR SWEDENBERG; I HAVE WRITTEN A THIRD OF THE PAGES, AND IN TIME WILL TALK ABOUT WHAT HELL IS ALL ABOUT. I AM PROUD TO BE A FRIEND OF ONE OF THE GREATEST HUMAN BEINGS ON THIS PLANET AND DR BRONNER IS ONE OF THEM. I HAVE OF COURSE OVER THE YEARS ADDED OTHERS TO THE LIST I.E. ALFRED EINSTEIN, ANNIE BESANT, MADAM BALAVASKY RUDOLPH STEINER, AND OF COURSE DR. EMMANUEL SWEDENBORGE, OF COURSE DR EMERSON, AND THE RECENTLY DECEASED AUTHOR OF “EXCUSES BEGONE” AND MANY OTHER BOOKS. DR. WAYNE DYER. THE LIST GOES ON AND ON INCLUDING “GIANTS LIKE G.I. GURDJIEFF” SELF MADE MEN DID NOT “BEND TO THE PRESSURE “OF THEIR TIMES” IN THE HISTORICAL CONTENT OF THE WORLD THAT THEY LIVED IN AT THE TIME. ALL OF THESE PEOPLE IN MY “HUMBLE” OPINION PAVED THE WAY FOR OTHER SEEKERS SUCH AS MYSELF, IN A WORLD BESET WITH THE SAME PROBLEMS THAT WE HAVE TODAY. THE “EVIL” FORCE IN THEIR TIMES, ARE THE SAME “EVIL” FORCES IN OUR TIME! THAT WILL OF COURSE NEVER CHANGE SINCE THAT IS THE “MAKE-UP” OF HOW OUR WORLD OPERATES. 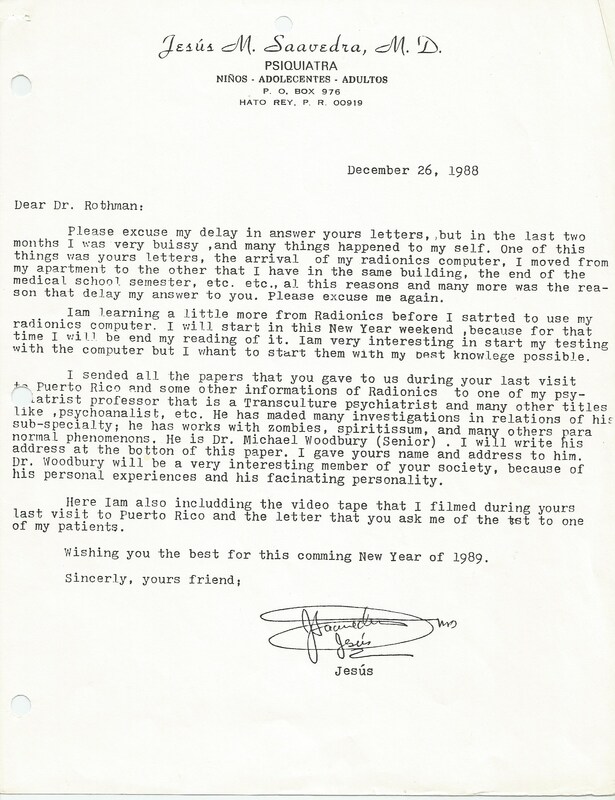 I HOWEVER DEEM THAT THE GREATEST OF THE GREATEST IS DR EMMANUEL SWEDEN-BORG SINCE FROM MY PERSPECTIVE HE WAS THE ONLY ONE THAT COULD COMMUNICATE WITH THE ANGELS; TO MY KNOWLEDGE NO OTHER SOURCE COULD DO THAT. IT REALLY DOES NOT MATTER SINCE WHAT MATTERS TRANSCENDS IN EVERY RESPECT, FORM, IN THE PAST AND THE PRESENT, THAT HAPPENED AND CAN HAPPEN RIGHT UP TO DATE. WHAT I AM ALLUDING TO OF COURSE, IS THE INDOMINABLE “LIFE ENERGY” IN ITS QUEST FOR SELF IDENTIFICATION AND SELF EXPRESSION. MY BOOK IS MEANT TO PROVE WITHOUT QUESTION HOW THIS “QUEST” HAS EXPRESSED ITSELF THRU “RAGS TO RICHES” A STORY OF A POOR IMMIGRANT FAMILY, STRUGGLING TO SURVIVE WITH THEIR FOUR SONS – ONE OF THEM WHILE WORKING FOR THE FAMILY BUSINESS, STUCK UPON A “GENIUS” WAY OF MAKING MONEY THAT HIS FATHERS STRUGGLING BUSINESS HAD NO WAY OF ACCESSING! THE STORY SHOULD BE INSPIRING TO OTHER POOR FAMILIES, LOOKING FOR THEIR PLACE “IN THE SUN” TO ASPIRE TO THE SAME CONCLUSIONS. TO ANSWER THAT QUESTION ONE MUST ALSO ASK WHAT IS: SPONTANEITY? HOW DOES IT COME ABOUT, ? WHAT FORCES ARE ENGAGED IN SPONTANEITY, WHAT “IS” SYNCHRO=NICITY? HOW DOES THAT COME ABOUT, AND OF COURSE THE BIG ONE,//////// WHAT IS “SERENDIPITY”???????????????????????????????? WHO CAN GIVE THE “PROPER EXPLANATION FOR THE THREE SSSS -SSSS? NOT TOO MANY, IF ANY. WHY? BECAUSE IN MY UNDERSTANDING, THE THREE “FAMOUS SSSS SSS, DO “NOT” EMANATE FROM OUR EGO DIMENSION; IT ORIGINATES IN A WORLD DOMINATED BY THE “SO CALLED HIGHER FORCES IN OUR MULTI-DIMENSIONAL UNIVERSE. DIALOGUEING WITH “ONES’ INNER SELF” – IS THERE SUCH A THING AS AN INNER SELF? WHO IS WILLING TO EXAMINE THIS QUESTION? OF COURSE BONAFIDE EGOS WOULD DISDAIN ANY PART OF AN INNER SELF. IMAGE DONALD TRUMP EVEN TRYING TO DIALOGUE WITH HIS “INNER SELF” AND “WHAT “IS” AN INNER SELF TO BEGIN WITH? HOWEVER, YOU “SLICE IT” WHETHER WE LIKE IT OR NOT, HUMAN BEINGS ARE ENDOWED WITH INNER SENSES AND AN INNER SELF AND WHY NOT? CAN ANIMALS HAVE AN “INNER SELF”? OF COURSE NOT, SO WHAT SEPARATES AN ANIMAL FROM A “HUMAN BEING” BOTH OF COURSE ARE “BEINGS” EXCEPT ON “HAS A SOUL, THE OTHER DOES NOT! SO WHAT DIFFERENTIATES ONE FROM THE OTHER, ONE HAS A “SOUL” ; THE OTHER DOES NOT! PARENTAL BACKGROUND, WORK, LIKES/DISLIKES, ALL OF THE SO CALLED EGO THINGS THAT LITERALLY DOMINATE OUR LIVES. ACHIEVEMENTS, AND ALL OTHER ASPECTS THAT ENHANCE THE IMAGE OF THE PERSON THE GHOST WRITER IS WRITING ABOUT. MY “REFLECTIONS OF A MYSTIC” MENTIONS OF COURSE SOME “FACETS” OF THE EXPERIENCES IN MY LIFE, NOT FOR THE SAKE OF SHOWING THE WORLD MY COMPETENCE, BUT RATHER IMPLYING, INDICATING THE “MYSTIC ASPECTS THAT “LED UP TO MY ACCOMPLISHMENTS. IN MY OPINION, WHAT EGO I HAVE SHOULD ‘NOT TAKE ANY CREDIT FOR WHAT ACCOMPLISHMENTS THAT I ACCOMPLISHED IN THIS PARTICULAR LIFETIME. MY DEFINITION OF AN EGO IS “NOT A CREDIT TO ME, NOR A CREDIT FOR ANY OTHER OPEN MINDED HUMAN BEING. UNFORTUNATELY, THE POLITICAL SYSTEM IN THE U.S.A. IS SET UP WHEREIN “TRUE DEMOCRACY IS “NOT” AVAILABLE TO THE CITIZENS OF THE UNITED STATES; THE ELECTORAL SYSTEM IS FLAWED, ALLOWING LIKE MR TRUMP TO BECOME PRESIDENT OF THE USA. GEORGE BUSH GOT ELECTED ALSO BY THE ELECTORAL SYSTEM, HE WAS ALSO UNQUALIFIED AS PRESIDENT OF THE USA. DEMOCRACY? NOT FOR THE PEOPLE OBVIOUSLY – CLINTON GOT OVER TWO MILLION VOTES THAN TRUMP. KERRY, GORE ALSO GOT MORE VOTES THAN BUSH – OUR SYSTEM AS SAID, IS MIGHTILY FLAWED; THE WRONG PEOPLE KEEP GETTING ELECTED! SOMEHOW THAT DID NOT HAPPEN WITH OBAMA, WHY? OBAMA BEAT THE REPUBLICANS TWO TIMES – HE CONSIDERED SOMETHING THAT THE OTHERS DID NOT! THE BLACK VOTE, THE VOTE OF THE “LITTLE PEOPLE”; OBVIOUSLY CLINTON AND THE OTHERS DID NOT! OBAMA WAS A GREAT ORGANIZER; THE OTHER DEMOCRATS WERE NOT! THE REPUBLICANS ARE ALSO GRASS ROOTS, GOOD ORGANIZERS – PELOSI AND HER CROWD ARE NOT. DIALOGUEING WITH THE REAL SELF! WHAT I AM ABOUT TO DISCUSS WITH THE READER IS EXCERPTS FROM A BOOK I WROTE DEALING EXCLUSIVELY WITH “DIALOGUEING WITH ONESELF, THAT MANY PEOPLE INCLUDING SO CALLED “SHRINKS” KNOW NOTHING ABOUT. TO DIALOGUE IN GENERAL ONE NEEDS A METHODOLOGY THAT MAKES THIS POSSIBLE AND WHAT “IS” THIS METHODOLOGY? THE MAN THAT AUTHORED TRUMPS BEST SELLER BOOK – WHO LIVED WITH DONALD, SAID THAT DONALD WAS AN “IDIOT”-IF HE ISNT SUED BY TRUMP, THAT WOULD BE A MIRACLE, BUT THEN, THE TRUTH MUST BE KNOWN, DOESN’T IT? 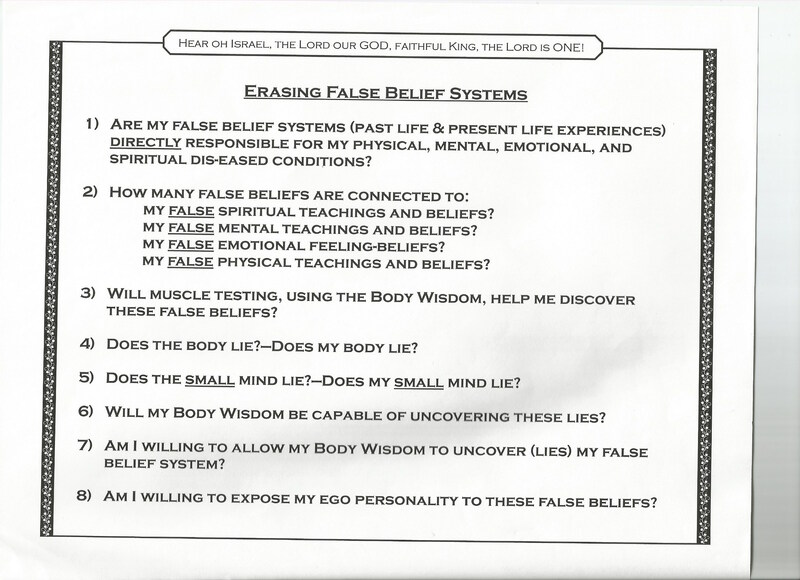 NOW I WILL RETURN TO ERASING ‘FALSE BELIEFS” HOW IS THAT DONE? THE ARTICLE IN QUESTION WILL BE SHOWN IN MY UPCOMING BOOK – AT THE MOMENT I WILL GIVE YOU THE READER, SOME IDEA OF HOW TO GET RID OF FALSE BELIEFS, THE WHOLE ARTICLE HOWEVER WILL BE IN MY BOOK. MUSCLE TESTING IS ONE WAY OF GETTING A YES OR NO ANSWER. DOWSING IS ANOTHER WAY OF GETTING A YES AND NO ANSWER. A TAROH READING IS ALSO ANOTHER WAY. DEALING WITH RUNES, AND OTHER MYSTIC SYSTEMS ANOTHER. 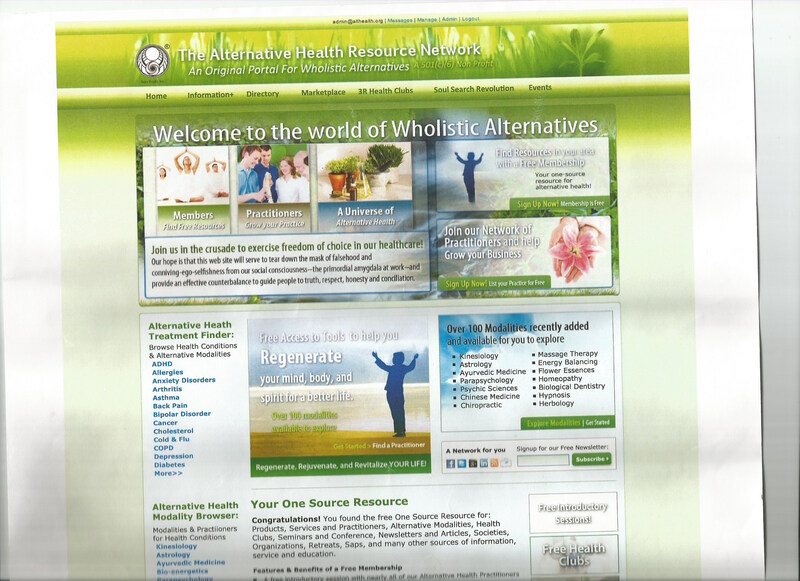 BACK IN THE EARLY EIGHTIES THE GROWTH OF ALTERNATIVE MEDICINE WAS IN THE FOREFRONT. I SAW THE POTENTIAL GROWTH AS OTHERS DID, AND DECIDED TO “GO TO WORK ON IT. UNFORTUNATELY I MADE MISTAKES, AND THE OUTCOME AS DESIRED, DID NOT HAPPEN! EVENTUALLY IT WOULD NOT HAVE BEEN SUCCESSFUL BECAUSE THE ALTERNATIVE HEALTH PRACTITIONERS WOULD NEVER BE COVERED BY THE INSURANCE COMPANIES. THAT POSSIBILITY DID NOT HAPPEN, AND AS SAID “THE WHOLISTIC METHOD NOT SUPPORTED BY OUR INSURANCE HEALTH PROVIDERS, MEANT, TOTAL DESTRUCTION! 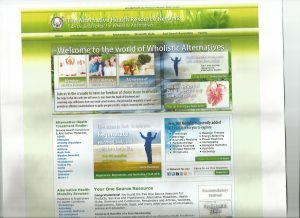 OUR HOME PAGE DEPICTS AND ELABORATES THE “IDEAS” CONTAINED WITHIN. RATHER UNDEDICATED, RATHER THAN DEDICATED INDIVIDUALS TO THE CONCEPT THAT AT THE TIME, WE WERE TRYING TO “INCULCATE” INTO THE HEALTH SYSTEM AT THE TIME. I CONSIDER WHAT WE DID AT THE TIME, A “WORK OF ART”, AS SAID WAS “MORE COMMITMENT ON THE PART OF THOSE WHO PRESUMABLY WERE RESPONSIBLE FOR ITS SUCCESS. AS SAID, IN THE LONG RUN IT HAD NO CHANCE OF SUCCESS SINCE THE INSURANCE COMPANIES WOULD NOT PAY FOR OUR PRACTITIONERS SERVICES. AS OF TODAY, WHOLISTIC MEDICINE IS PRACTICALLY DEAD – IF NOT, MY SYSTEM AS ENVISIONED WOULD HAVE SURVIVED AND PROSPERED, IN MY OPINION. THIS IS ALSO A “REPEAT”- SINCE WHAT HAPPENED ALSO DEFIES EXPLANATION. I DID NOT MENTION THIS IN MY PREVIOUS INSERTION. 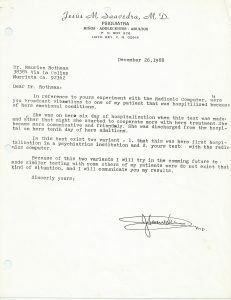 HOW DID I COME UPON A METHODOLOGY THAT WAS THRU A DEVICE CALLED A RADIONIC INSTRUMENT THAT WAS CAPABLE OF “CONNECTING TO A WOMAN WHO WE KNEW NOTHING ABOUT – SUCCESSFULLY. HERE IS SOME OF THE BACKGROUND CONNECTED WITH THIS SO CALLED “IMPOSSIBILITY” I.E. MAKING THE IMPOSSIBLE POSSIBLE NOW COMES INTO THE PICTURE. BACK IN BRIGHTON WHERE I LIVED WITH MY ELDERLY MOTHER; MY NEPHEW’S WIFE GOT FASCINATED WITH THE “POTENTIAL” OF THE RADIONIC SYSTEM ASDEVELOPED BY A GENIUS CALLED BRUCE COPEN. KNOWING THAT I WAS A “MEDIUM” SHE ASKED ME IF I COULD HELP HER BROTHER’S WIFE, WHO WAS ON THE VERGE OF “LOSING IN” I SAID THAT I WOULD. A WHOLE BOOK WAS WRITTEN BY “MY SOURCE” AND METHODS OF DEALING WITH PEOPLE SUFFERING COULD BE HELPED. WHEN I GAVE MY SEMINAR, I UTILIZED THE “KNOWLEDGE GIVEN TO ME BY MY SOURCE” WHICH OF COURSE RESULTED IN TAKING A WOMAN OUT OF THE PROBLEM SHE WAS BESET WITH. THIS BOOK IN TIME WILL BE PUBLISHED, ONCE I FINISH THE ONE THAT I AM WORKING WITH RIGHT NOW. ITS SYSTEM IS “UNIQUE” AND “EFFECTIVE” AT THIS MOMENT IN TIME, I AM UNABLE TO UTILIZE IT, BUT AS SAID, I WILL! IT IS WRITTEN BY A TRUE GENIUS, A FRONT OF MINE FOR FORTY YEARS BEFORE HE DIED TWO YEARS AGO. MR LAFFOLEY IS A TRUE GENIUS IN THE MOLD OF AN EINSTEIN, ETC. 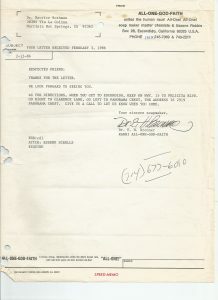 WHAT IS THIS LETTER ALL ABOUT? 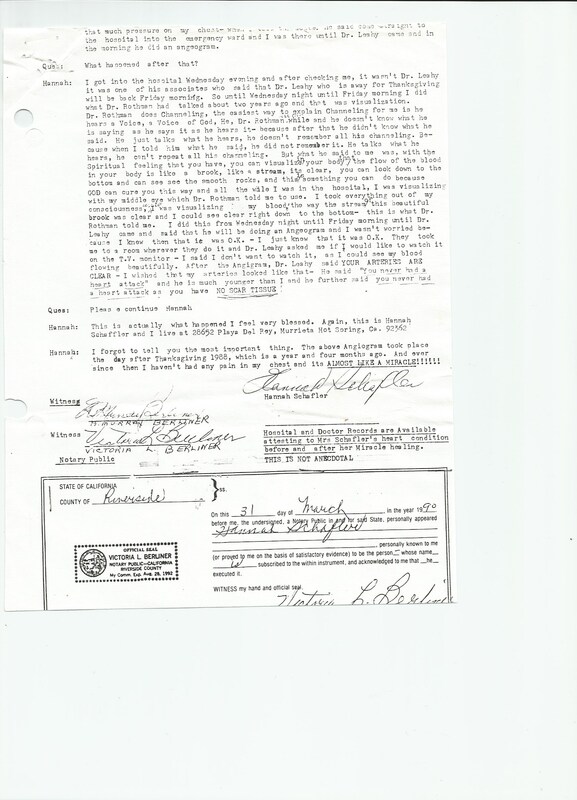 ITS ALL ABOUT A WOMAN AND MOTHER OF JOSEPH AIELLO WHO WAS DYING IN THE DEATH WARD OF THE MT. AUBURN HOSPITAL IN CAMBRIDGE, MA. 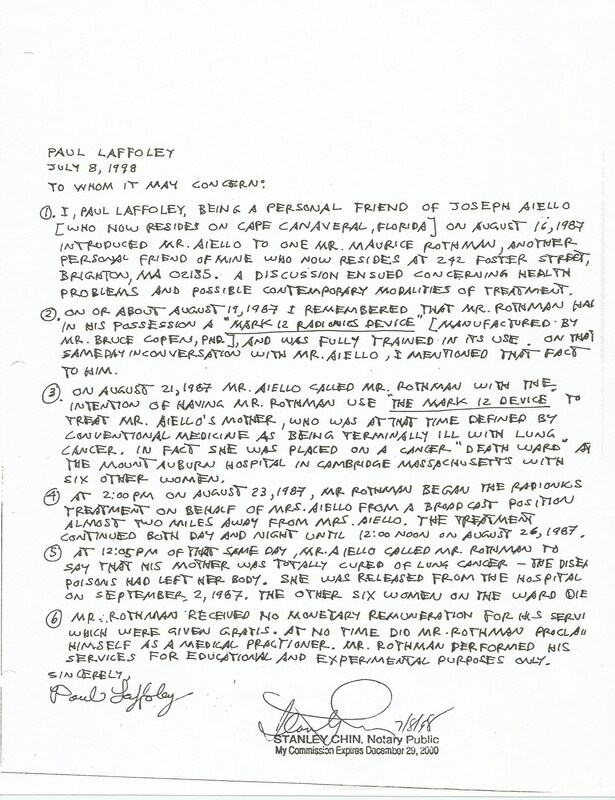 MR AIELLO CALLED ME AND ASKED ME IF I COULD HELP HIS MOTHER, AFTER PAUL LAFFOLEY TOLD HIM THAT I HAD A RADIONIC INSTRUMENT. I SAID THAT I WOULD. I GOT AN UNTOUCHED PHOTO OF JOE’S MOTHER AND PROCEEDED TO USE MY RADIONIC INSTRUMENT. WITHIN THREE DAYS A “RESOLUTION WAS READY TO HAPPEN” EITHER SHE IS DEAD OR SHE IS ALIVE! ON THE THIRD DAY I GOT A CALL FROM JOSEPH SAYING HIS MOTHER IS COMPLETELY HEALED; ALL OF THE POISONS IN HER BODY WERE “GONE”! THE TIME PERIOD IF ANYONE WANTED VERIFICATION, WAS IN AROUND THE LATE EIGHTIES. I HAVE A VIDEO SHOWING ME, JOSEPH AND HIS GIRLFRIEND, TALKING ABOUT HIS MOTHER’S “MIRACLE HEALING AND HIS MIRACLE HEALING” IT WILL BE DIGITIZED AND PUT INTO MY UPCOMING BOOK! 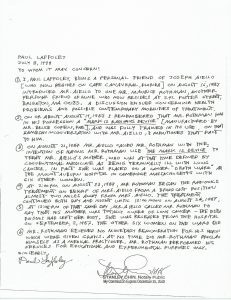 MR LAFFOLEY’S NOTARIZED LETTER, DOES A GOOD JOB OF GIVING “ALL OF THE FACTS” INVOLVED IN THIS “DRAMA” OF USING THE “HIGHER FORCES” WHEN NECESSARY. SADLY, THE OTHER WOMEN IN THE DEATH WARD AS MR LAFFOLEY STATES, ALL DIED! THIS IS THE “REAL THING” NOT SOME HOKUS POKUS CRAP OUT THERE! PAUL LAFFOLEY: ARTIST AND REGISTERED ARCHITECT IN MASSACHUSETTS FORMED THE “VISIONARY CELL”, IN 1971 FROM 1963 TO THE PRESENT , HE HAS PARTICIPATED IN OVER TWO HUNDRED EXHIBITS, NATIONALLY AND INTERNATIONALLY. A GRADUATE OF BROWN UNIVERSITY ATTENDED THE HARVARD GRADUATE SCHOOL OF DESIGN, AND WAS APPRENTICED TO THE SCULPTOR MIRKO BASELPELLA AND VISIONARY ARCHITECT FREDERICK KIESLER. 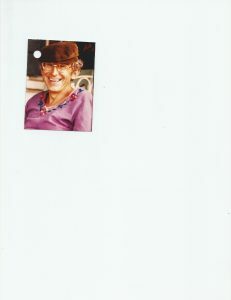 A PHOTO OF MAURICE ROTHMAN AT THE AGE OF FIFTY; HE IS NOW 94 YRS OLD.